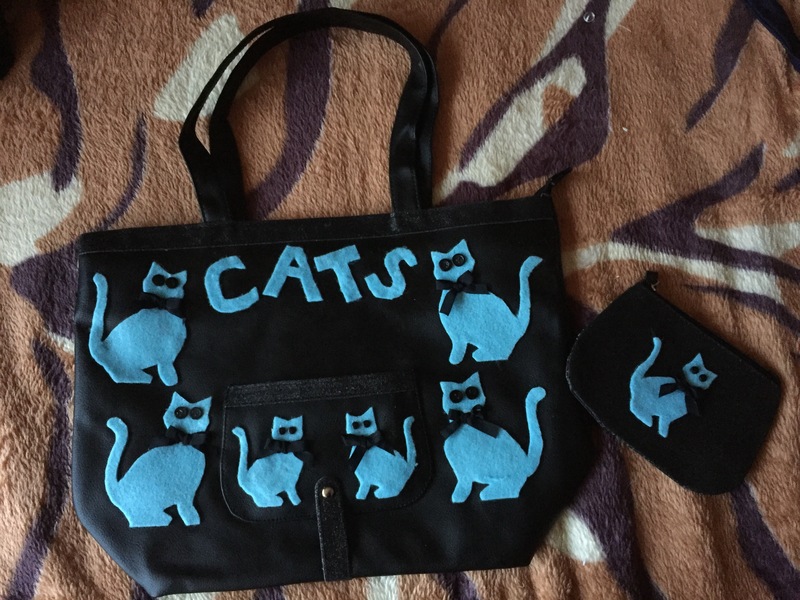 A little while ago a lovely friend, learning of my hobby of creating unique and original up-cycled handbags, gave me a large black glittery trimmed bag with a matching purse. I decided I wanted to transform it into a special bag for her. 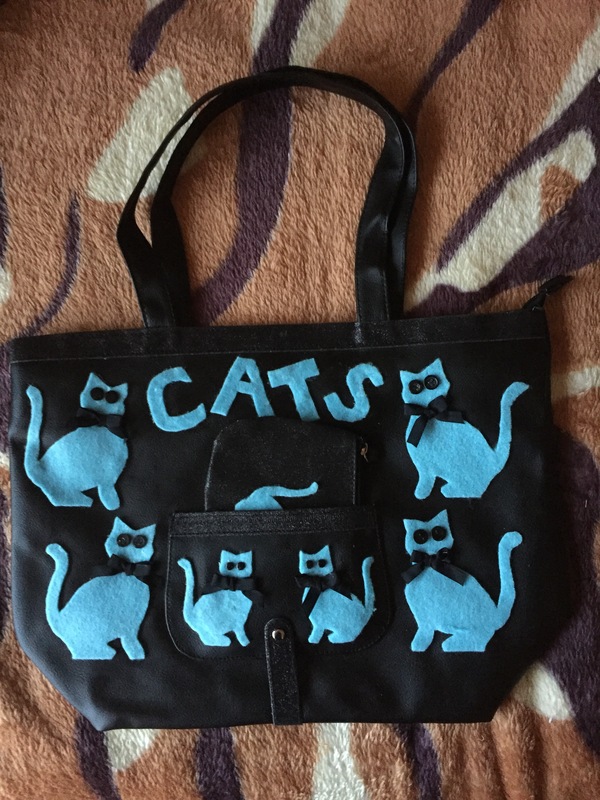 My friend is a doting mammy to 7 furry babies and so of course the bag had to include 7 cats. Instead of trying to match each cat motif to the colour of her kitties I made them all bright blue to match my friends gorgeous blue hair. I love that the tail of kitty number 7 peeps out of the pocket on the front.